DRI as project counterpart of the German Metrology Institute PTB and Department of Agriculture (DoA) as project counterpart of the German Development Cooperation GIZ have jointly started a CALIDENA process. The participatory CALIDENA methodology aims at stimulating quality in value chains. The CALIDENA methodology is a demand-driven approach which assesses and diagnoses quality infrastructure issues at each level in a value chain with the final objective to increase competitiveness of local producers and processors. 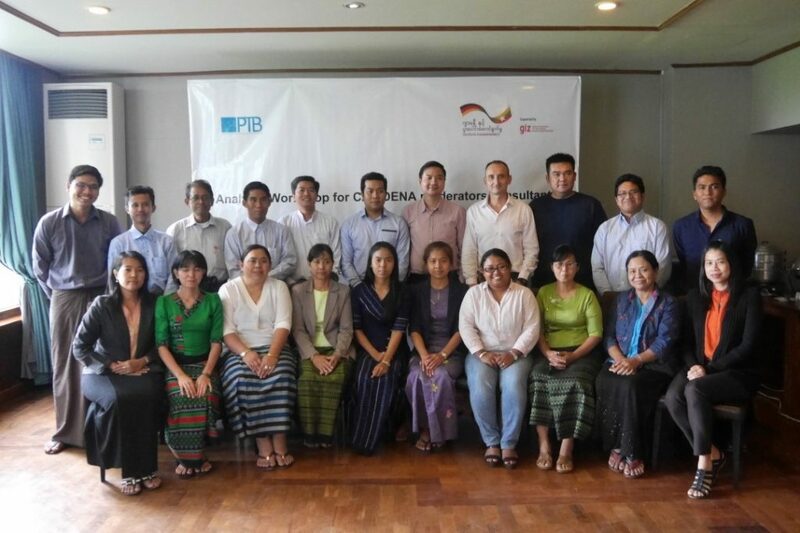 A first training Workshop for national CALIDENA moderators and consultants took place from August 15-17 with 18 participants from the public and private sector in Myanmar. The training participants received a practical overview of the CALIDENA methodology, got familiar with the concepts of Quality Infrastructure (QI) and value chains, became enabled to prepare CALIDENA value chain studies and to co-facilitate CALIDENA workshops with representatives of the National Quality Infrastructure (NQI) and stakeholders of selected value chains. After the training selected participants prepared feasibility studies of the sesame value chain, the chili value chain and the vegetable value chain. Based on the studies, sesame has been selected to become the focus product of the first CALIDENA Diagnosis Workshop held between 3 and 5 December 2018 in Yangon. The workshop helped to identify “hot topics” to improve quality in the sesame value chain and, in parallel, develop quality infrastructure services to support the sesame value chain. The final outcome of the workshop is an action plan that will be implemented by value chain actors and QI institutions over the next 12 months. The Department’s primary mission is to promote Myanmar’s trade competitiveness by advancing measurement science, standards, conformity assessment and technology in ways that enhance economic growth and improve our quality of life.